Potential harm from spreading religions convictions is mentioned far more often these days than decades ago: 23% percent see an unfavorable impact on society and 18% on the individual. 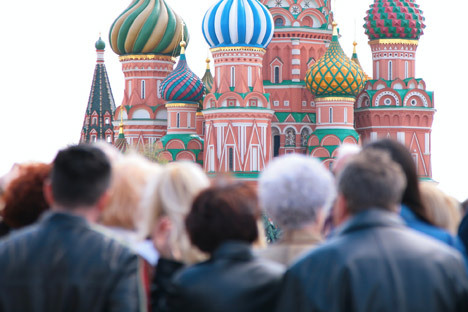 Russians these days are more skeptical in their attitude to the growing role of religion in society than 25 years ago, but at the same time a majority still acknowledges that faith helps them cope with various problems and misfortunes, as follows from the just-published VTSIOM survey. "In 1990 a majority of the polled (61%) agreed by and large that greater religiousness benefits society, in contrast to 31% who say so these days," the national pollster said. "Before, 41% mentioned positive effects of religion for them personally, while now this opinion is shared by 33%. This point of view is most frequent among Orthodox Christians and followers of other religions, elderly people and residents of Moscow and St. Petersburg." "Potential harm from spreading religions convictions is mentioned far more often these days than decades ago: 23% percent see an unfavorable impact on society (in contrast to 5% in 1990) and 18% on the individual (3% in 1990). There has been a noticeable increase in the group who believe it will play no role in society (28% percent in contrast to 18% in 1990), while the number of those who foresee no impact on themselves personally has remained practically unchanged (43% and 39% respectively)," the pollster’s press-release says. Respondents tend to approve of the emergence of a new church or meeting house in their neighborhood if it belongs to their own religion (48%), while the degree of support dwindles by half (to 20) if a building for the adherents of other religions is on the agenda. As follows from the opinion poll, over the past quarter of a century the share of those who acknowledge that faith supports them in certain situations has doubled (from 23% to 55%). Those unable to recall cases in which religion helped them in life are fewer now (33% against 55% in 1990).